Canary Riverside Residences is a private apartment complex surrounding the Four Season Hotel in Canary Wharf. The apartment complex sits very close to the River Thames, making it one of the best places to live in London. 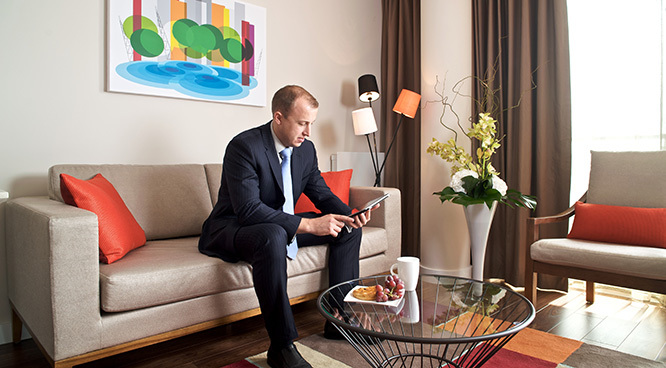 Canary Riverside Residences is secured 24 hours per day, 7 days per week and each building has a doorman or two, working in two shifts to cover 12 hours a day all the week. The apartment complex is situated in the very proximity of many transport joints and it has many facilities, like: 750 square feet and 1000 square feet apartments with separate kitchens, air conditioning, high speed Wi-Fi, gym, maid services once a week, parking and many others. Located at a walking distance from the apartment complex, Museum of London Docklands is probably the best London tourist attractions that you can find in the area. The museum tells the story of the River Thames and its Docklands. If you are staying at Canary Riverside Residences or you just happen to be in the area, have a look at the galleries of the museum. You most likely will not regret it. In order to get rail transport from Gatwick Airport to Canary Riverside Residences, you need to take the train to Victoria Station. The train has frequency of 10 minutes and it costs around 15 pounds ($25). Also, the journey lasts about 30 minutes to Victoria Station. From Victoria Station one of the best options to get to Canary Riverside Residences is to take the train to Westferry Station. Once you are there you can just walk to Canary Riverside Residences. So as to travel by car from Gatwick Airport to Canary Riverside Residences you can take the M23 until you reach M25 road. When you reach A2 take left. The journey takes about one hour at it has approximately 48 miles. A Gatwick Airport to Canary Riverside Residences Taxi Transfer with 247 Gatwick Airport will last around 1 hour and 30 minutes (rush hour traffic included). The price for a taxi service from Gatwick Airport to Canary Riverside Residences begins from £62 for a saloon car. Do not forget that if you register online you get 10% discount to our taxi journeys.